A vanpool is a larger group of commuters who ride to and from work on a regular basis in a designated van instead of a car. 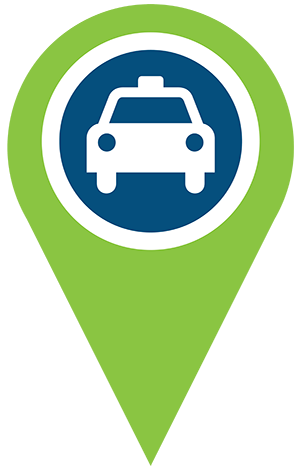 Often, vanpool passengers pay a monthly fee. One person volunteers to drive and doesn’t pay a fee. The vanpool provider takes care of maintenance and insurance. RideKC Van offers a great way to save money, while getting you to work and helping the environment. RideKC Van is available in Jackson, Johnson, Wyandotte, Clay, Platte, Leavenworth and Cass counties in the Kansas City area. Contact 1-800-VAN-4-WORK (1-800-826-4967) for more information. 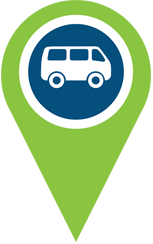 Consider finding a central park and ride lot where members of the vanpool can meet. If you take a vanpool on a regular basis, you can register for the Guaranteed Ride Home program, which provides a free taxi cab ride home from work in case of emergency.